Vegetable oils are the oils which are produced from the fruits, seeds, roots and other parts of plants. They basically consist of triglycerides (95-97%) and the rest is wax, phospholipids, free fatty acids, tocopherols, vitamins and other substances determining the taste, colour and odour of the oil. Vegetable oils produced mainly from fruits and seeds are usually a mixture of triglycerides of the fatty acids. Most of them are liquid at 20ºС with insignificant exceptions such as the cocoa, coconut seeds oil, etc. Raw oils before refining retain the taste and aroma of the seeds and fruits of which they have been obtained. The basic processes for producing vegetable oils are pressing (squeezing) and extraction with the help of organic solvent or liquid carbon dioxide. Pressing is the oldest method of oil production with only the instruments changing over the time. The peeled seed is pressed in an auger press and as a result oil and solid residue are obtained. The solid residue is subjected to additional treatment called “extraction” in order to educe residual oil until reaching a level of 0.5–0.6 %. The degreased solid residue (groats) and the dissolved oil (miscella) need separation from the solvent due to which groats are directed to an auger evaporator and miscella – to a distiller. Depending on the intended purpose of the oil (technical or food) it undergoes different stages of processing with different depth of purification. Preliminary hydration with the possibility to separate lecithin for food purposes. Chemical hydration with phosphoric acid for decreasing the phosphorus-containing substances to a level of < 4 ppm. Alkaline neutralization of the free fatty acids. Vinterization aiming to separate wax in order to lower the temperature turbidity and freezing points; in the case of oils for food purposes additional stages consisting of peeling and deodorizing are included. 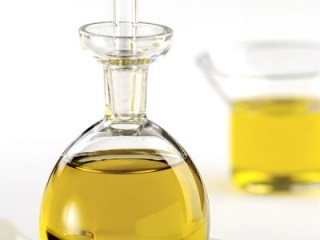 The oils intended for food purposes are basically sunflower oil, soybean oil, olive oil, peanut oil, mustard oil, linseed oil, poppy-seed oil, walnut oil etc. 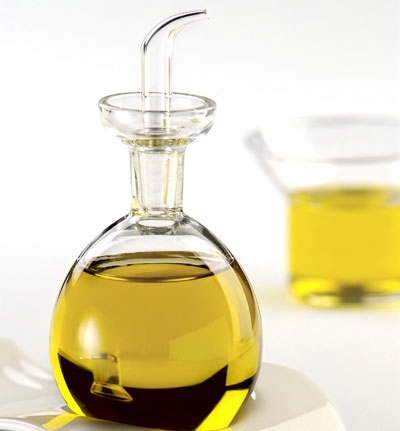 Highly erucic rapeseed oil, tung oil are used for technical purposes. Technical oils are generally used in the perfume and cosmetics industries, the production of paint and varnish. For the production of renewable energy fuels "Rapid Oil Industry" Co., Ltd. has constructed and implemented an installation for the processing of raw vegetable oils and animal fat until obtaining technical oils which correspond to the input control requirements for the production of biodiesel. The production capacity is 60 000 t/y. The installation is equipped with a module for the production of vegetable oils intended for food purposes, constructed from suitable materials and achieving an end product corresponding to the requirements of recommended standard for the vegetable oils used and produced in the Republic of Bulgaria.